1 day ago April 20, 2019 in Birds and Birding, Commentary, Photography. 4 days ago April 17, 2019 in Birds and Birding, Commentary, Photography. 5 days ago April 16, 2019 in Birds and Birding, Commentary, Natural History. 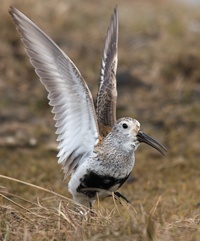 1 week ago April 14, 2019 in Alaskana, Birds and Birding, Commentary, Photography. 1 week ago April 13, 2019 in Birds and Birding, Commentary, Photography.